Container Handling is the ability to safely and efficiently move shipping containers onto vessels for overseas destinations and off ships to storage or for offsite delivery. A container crane is a huge gantry crane used to accomplish that goal. 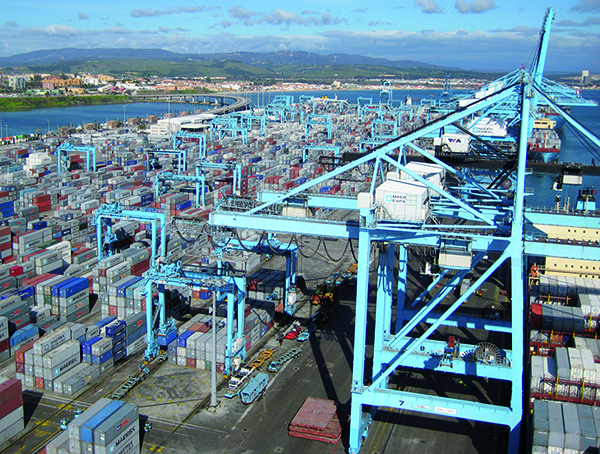 VAHLE offers dependable solutions to improve your container handling operations including conductor bar and festoon systems for power and SMG for data communication. We offer over 100 years of knowledge and expertise to ensure your crane is up and running when needed.